Wednesday, October 17 = ladies night. It's that time of the year again, folks. Tonight, Wednesday, October 17, CMT will host a blowout special to celebrate the genre’s biggest and brightest Artists of the Year. 2018's festivities will be a bit different, however—they'll be dedicated to the women who've made country music what it is today. From our forever favorites to the genre's rising stars, this will be a night honoring the past, present, and future of country. "In this monumental year for women, dedicating one of the biggest nights in the genre to applaud female country artists not only solidifies our commitment, but we hope will spark a much-needed change in the industry," said Leslie Fram, the Senior Vice President of Music & Talent for CMT. 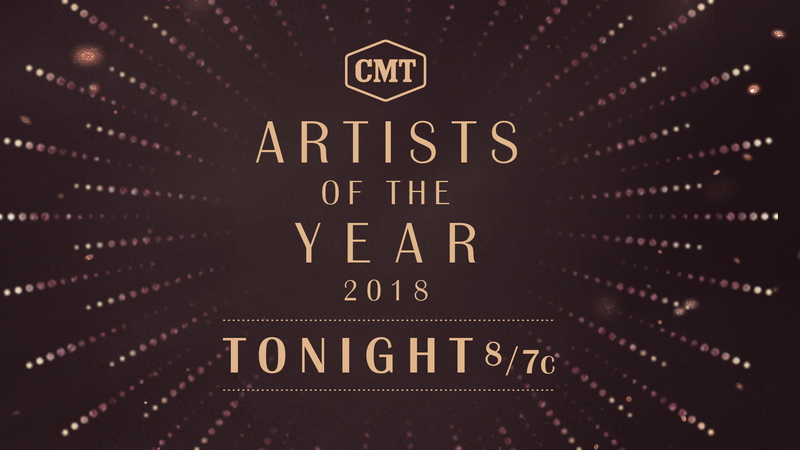 CMT’s 9th annual Artists of the Year ceremony will be held live from Nashville’s Schermerhorn Symphony Center at 8:00pm ET/PT. Check out some of the reasons we’re especially psyched for this year’s televised special, and don't forget to tune in to watch it all go down! This year’s Artist of a Lifetime award will be presented to the “Queen of Country Music”. For more than five decades, Lynn's been breaking barriers and nabbing No. 1 hits, while inspiring countless women in the industry. This year, she’ll join the ranks of previous recipients of the award, including Shania Twain, Kenny Rogers, and Merle Haggard. Presenting her with the honor will be Sissy Spacek, the actress who portrayed Lynn in her 1980 biopic, Coal Miner’s Daughter. If you’ve seen this televised special before, you know iconic collaborations are around the corner. To keep the feminine energy flowing, American Idol alum Carrie Underwood will hit the stage with her tourmates Maddie & Tae and Runaway June. Also slated to perform? Miranda Lambert and Pistol Annies; Kelsea Ballerini with Alison Krauss; Karen Fairchild and Kimberly Schlapman with Gladys Knight; and Hillary Scott with Tori Kelly and Kirk Franklin. Finally, “The Middle” singer Maren Morris will be teaming up with Brandi Carlile to give a special tribute to the late Aretha Franklin. If you haven’t heard of CMT’s Next Women of Country campaign, it’s time to get enlightened. This program gives new female artists time to shine via tours and airtime on all of CMT's platforms. Chart topper Maren Morris, as well as T-Swift’s gal pal, Kelsea Ballerini, are both alumnae of the franchise. Tune in on Wednesday to see both of these showstoppers take the stage. 5. It’s An All-Day Event! CMT is dedicated to celebrating female artists all day long. Catch their “Women of Country Music” takeover on their radio shows, including “CMT Radio LIVE” and “CMT After Midnite”, on their 24/7 digital channel. You can also catch up with live updates on the their app and at CMT.com to make sure you don’t miss a minute of coverage from your favorite country gals.